By Kristy Kinzer, Swimming World College Intern. Swimming is easily seen from the outside as one of the safest sports with regards to accidental injury. As a non-contact sport, you’d think swimmers would rarely encounter blunt-force injuries. As opposed to dealing with a broken arm or muscle strain that can be diagnosed and treated systematically, the manifestations of concussions can greatly differ from person to person and are more difficult to treat. Not that the mentioned injuries are not difficult to deal with, but they are much more clear-cut than the mysteries of brain. Many coaches do not know how to deal with injured athletes, and some may point to the athlete’s “headiness” as the source of complaints rather than a true medical issue. But head injuries are nothing to mess around with. Any injury to the brain can affect vital functions as well as thinking, memory, emotions, and more. Our brains are incredibly complex organs, and without certain parts operating at full capacity, we could lose not only some physical functioning and sensation, but also our sense of self, reasoning, memory, and ability to learn. Personality changes and emotional instability can be the most devastating consequences of brain injuries. Unfortunately, this was the experience of fellow high school and club teammate and recent graduate of Indiana University/Purdue University (IUPUI), Raelynn Chastain. 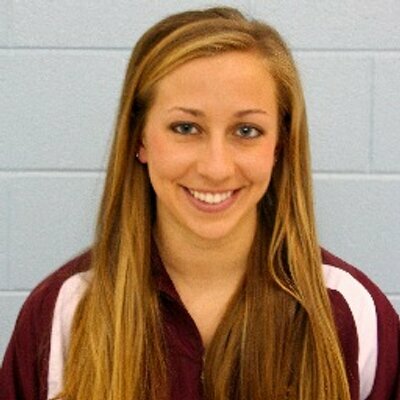 The year before her concussion, Chastain was an age-group Indiana state champion backstroker, one of Indiana’s two fastest 50 freestylers, and was selected to represent Team Indiana at the annual Mid-State Quads Meet. As a freshman in high school, she was a 3-time conference and 3-time sectional champion, with a promising high school and college swim career ahead of her. She was on track to swim in college and had goals to swim at one of the most successful NCAA Division I programs. Throughout Chastain’s swim career, her primary focus was training to compete at Olympic Trials. But all of that changed after a freak traumatic concussion at the peak of her swimming career which changed the trajectory of her entire future. Most swimming-related concussions occur in the following scenarios: diving into shallow water, running into the wall, colliding with another swimmer going the opposite direction, slipping on deck, or during dryland training. But Raelynn’s head injury occurred during a mile-run in an outdoor freshman gym class. The senior class was playing soccer on the infield of the track, and a ball went flying into the back of her skull. “My head was thrown forward (which later we found out resulted in whiplash in my neck), and I was left stunned,” Raelynn recalled the day of the injury. It is common to feel okay right after the injury, so she thought she could walk it off. However, few minutes later, she began feeling dizzy and developed blurry vision. She was very unsteady on her feet and needed to be wheeled out of school in a chair. Thankfully, her father was a physician and recognized the symptoms right away and brought her to see a neurologist as soon as possible. For those who may not be as savvy, the most recognizable symptoms of concussion are the following: headache, nausea, memory trouble, concentration difficulties, sleepiness, irritability, depression, and sensitivity to light. The events immediately after her concussion were a blur as she could barely stay awake for the next few hours. Her mother wisely woke her up every hour to assess her condition. Home treatment for concussions typically consist of maintaining hydration, bed rest with someone checking in, and mild pain relievers such as Tylenol (rather than other medications that can increase risk of brain bleeding). “I didn’t know it at the time, but it is common for traumatic brain injuries to get progressively worse in the first few months before symptoms improve. I underestimated the concussion, so I initially had a positive outlook that the physical therapy for whiplash and proper eye movements would work,” Chastain said. Her eyes had been knocked loose in the collision which resulted in double vision. They didn’t track properly, which also affected her balance and ability to walk straight. But instead of getting better, she continued to suffer debilitating headaches and was diagnosed with frontal lobe and right occipital lobe damage, which affected her balance, vision, processing/problem solving, language, short-term memory, and emotional stability. “As time went on, I was in so much pain that I didn’t really have time to think about how I was feeling. I just took everything one day at a time,” Chastain describes. School was a major obstacle the first year after her concussion as she missed so much material due to being hospitalized at Riley Children’s Hospital. School counselors didn’t think she’d graduate with her class, and her mom had to read aloud most books and assignments due to her vision impairment. As for the social adjustments, Chastain reported remarkable difficulty in carrying on a conversation as she lost her train of thought easily. The exhaustion after the injury caused her to experience social anxiety that hadn’t been there prior. Chastain was vulnerable in her struggles with teammates as well as coaches, noting that at times her teammates didn’t believe she was in pain or was over-exaggerating symptoms. When asked how teammates can support those suffering post-concussion, Chastain advised: “It is important to listen to whoever is suffering, believe that their symptoms are legitimate even though the injury cannot be seen, have patience with them since the recovery process is long, and continue to include them in team activities throughout their recovery.” Teammates and coaches often forget that a victim can still be in in pain regardless of the lack of visible injury months later. “My coach tried to understand the injury at first, but as time progressed and my concussion wasn’t getting better, that changed. I think the coaching staff’s assumption was that the recovery process would be quicker than it was, so when I wasn’t getting better some coaches thought I was just being lazy,” Chastain recalls. But she did say her coaches never encouraged her to quit, but to stick it out as much as possible. Though Chastain could never train to her potential again due to severity of symptoms, she stays involved in the swimming world as a coach and number one fan of her younger brother, who is about to swim in college next year (pictured above). “It is important for coaches to understand that as frustrated as they might be with the injured swimmer, the swimmer is likely even more frustrated with themselves, because they can’t swim as fast or for as long as they once could. Communication and patience is crucial for coaches dealing with a swimmer that has a concussion,” Chastain advises. The best thing a coach can do is encourage the athlete in the recovery process. Regarding an athlete who may have a concussion, she advises that they get checked out as soon as possible as every brain injury is unique with a different outcome. “Brain injuries aren’t a visible physical injury like most sports injuries, so you have to be your own advocate and be able to notice and describe your symptoms to doctors, therapists, and trainers that want to help,” she said. Raelynn’s experience left me with the thought that our brains must be protected, but our hearts should remain open to whatever life may bring. You can’t change your circumstances, but you can control your reactions. Her positive spirit radiates peace and joy to those around her, and she hopes her story can inspire and instruct those who may deal with similar issues in the future.